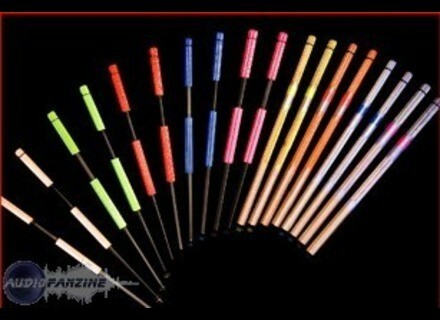 QStick Neon, Drum Stick from QPercussion. QPercussion presents its QStick rods in Neon versions. Aimed at providing an original visual effect while playing, the fluorescent Qstick Neon has the same features as the original version, although no technical detail was provided as to how exactly this colorful effect is obtained.